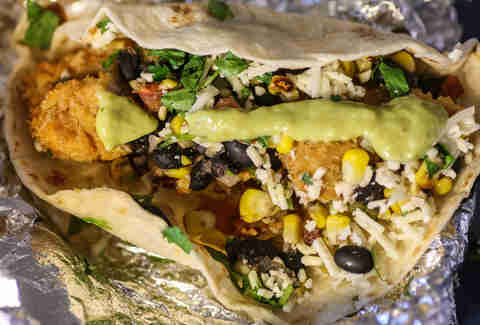 From the deepest, darkest depths of the Internet (so, Reddit), stories have foretold of a treasure trove of secret Torchy's goodness. The most heralded of them all, though? 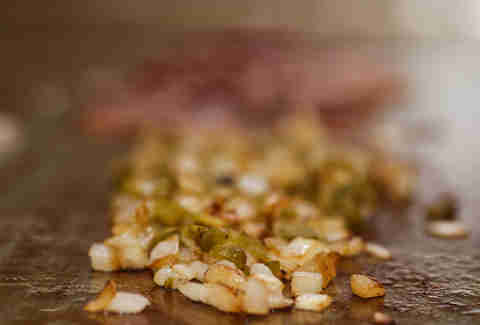 The Hipster, featuring panko-breaded fried tuna, bacon, green chiles, black beans, cilantro, cotija, and avocado sauce. 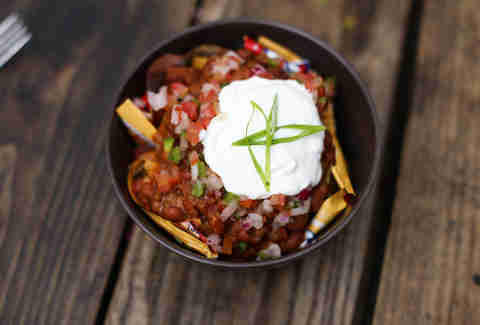 There's no comfort food quite like a Frito pie, and the gastronomers over at Yellow Jacket will make you one of the city's best if you pinkie swear you won't tell millions of people about it on your men's interest site. Whoops! Level up Thrillist's No. 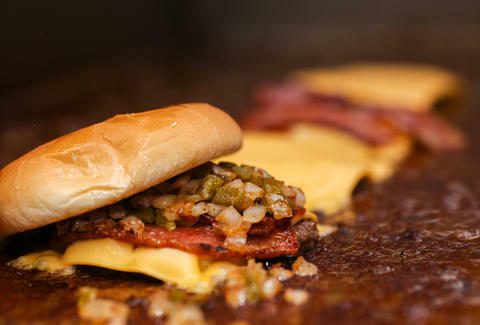 1 burger in Austin with a heaping helping of grilled onions and jalapenos, which combine with the melting cheese to create one of the city's purest pleasures. 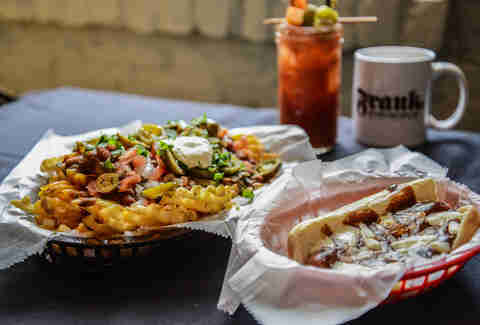 The venerable dog-slingers at Frank will whip you up either a) Cajun spicy waffle fries with bleu cheese, b) loaded nacho fries (cheese, beans, onions, tomatoes, jalapenos, cilantro, sour cream), or c) a Vienna beef Poutine Dog (aka the Canadian Tuxedo) smothered in gravy and cheese curds. 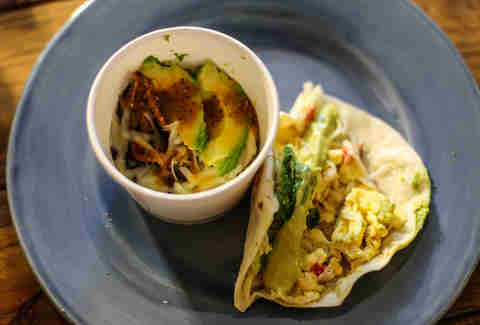 Because eating a breakfast taco while driving is just begging for a chorizo stain, the fine folks at TacoDeli will kindly make any of their morning delights in an easy-to-transport vessel that's much less likely to ooze juice all over your wrinkled Oxford.